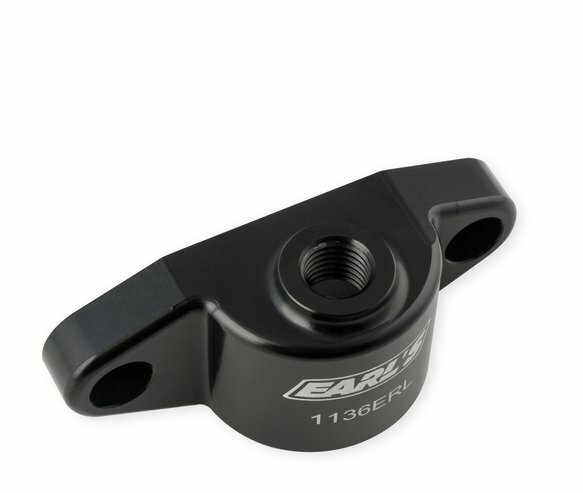 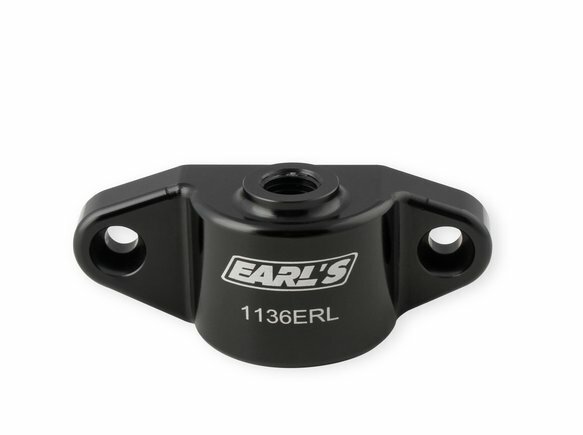 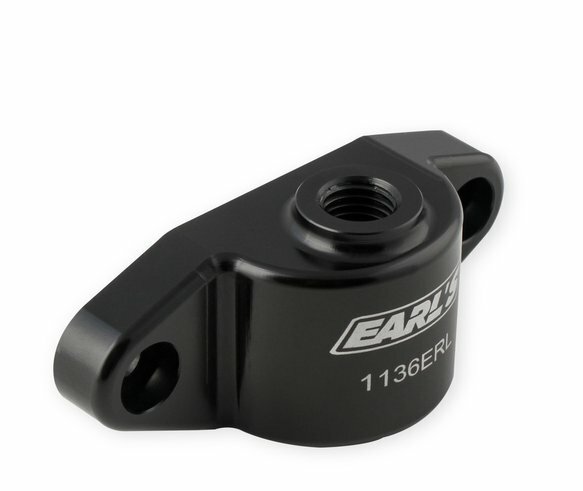 Earl's GM LT Gen-V oil cooler Block-Offs are billet aluminum covers that omit the oil cooler and have 2 port options for a sensor, oil pressure gauge, or turbo oiling. 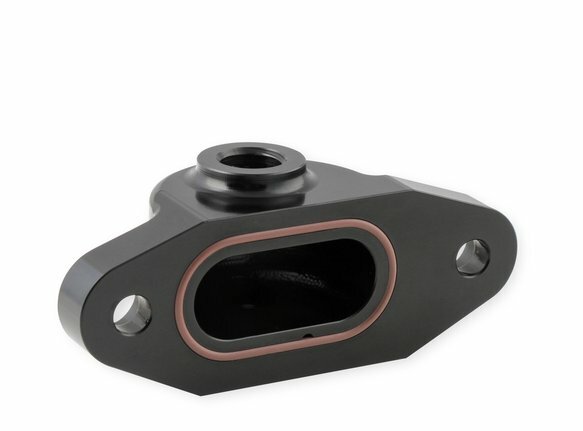 Choose from 1/8" NPT port or 12mm x 1.5 (OEM Sensor) port. 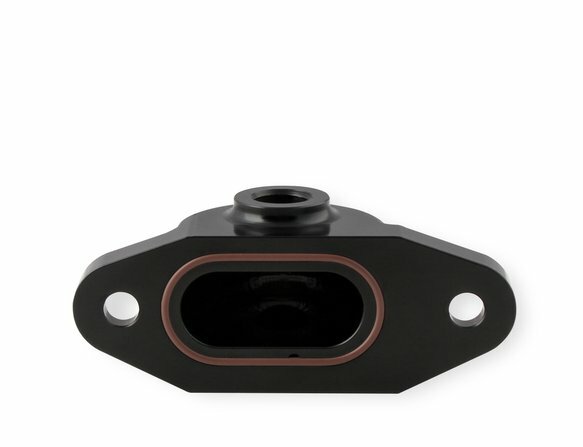 The ports are located on the top of the cover for extra header clearance. 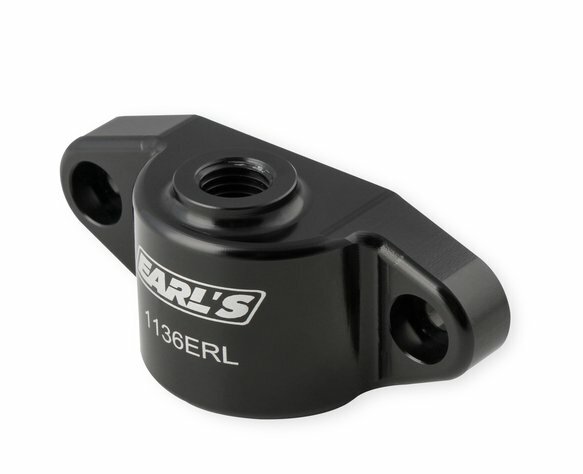 Includes billet aluminum cover, O-ring seal (no gasket required), and mounting hardware. Black anodized finish.